The simple fact is there is NO evidence for the safe use of ephedra or ephedrine or the so-called ephedra-free products. 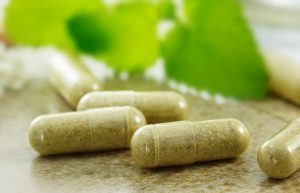 Beware of websites that try to tell you that these “natural” stimulants are safe – there is simply no scientific data to support such a claim. The Rand Report on the ephedra controversy commissioned by the FDA states that not one single published Scientific Research paper has studied ephedra or ephedrine for more than 6 months. This means that no one knows what is safe and what is not safe over long-term use. I must repeat – do not be fooled into thinking that ephedra-free products are safe because they are natural. If it is a stimulant of any type… stay away! What this all means to you is that you are a guinea pig if you use any of these type of fat burner supplements. There is a better way for fat burners then using stimulants! If you are still willing to risk your health then understand that the limited effectiveness of ephedra and ephedra-free products! Did you get that – these fat burning supplements do work – but only barely! Okay, enough of my preaching – hopefully you see the dangers of ephedra-type supplements as your primary strategy to fat burning. I sincerely hope that I was able to shed some light on the mystery of fat burners! The next Fat Burning myth to discuss is the muscle and high intensity exercise myth.